It’s been a long night at Pier 36, also known as Basketball City. But this time, you couldn’t see hoops. Instead, the building hosted a very special competition — the Disrupt NY Hackathon. Around 750 engineers and designers got together to come up with something cool, something neat, something awesome. The only condition was that they only had 24 hours to work on their projects. Some of them were participating in our event for the first time, while others were regulars. We could all feel the excitement in the air when the 89 teams took the stage to present a one-minute demo to impress fellow coders and our judges. But only one team could take home the grand prize and $5,000. So, without further ado, meet the Disrupt NY 2017 Hackathon winner. ADHD diagnosis is very complicated and time-consuming. In addition, ADHD diagnosis is based on a variety of subjective factors and there is no definitive, quantifiable way to diagnose it. In addition, treatment of the disorder can be a hassle as well, as it often involves usage of a suite of stimulants such as Adderall, all of which come equipped with side effects (such as appetite loss and depressive feelings). The team wanted to create a VR solution to this problem that can provide both a diagnostic and treatment mechanism for ADHD. Read more about reVIVE in our separate post. Read more about CodeCorrect in our separate post. Waste Not allows you to scan your groceries receipt to keep track of your food. It checks average expiration times and notifies you before your food expires. This way, you waste less food because you get alerted when your food is expired. 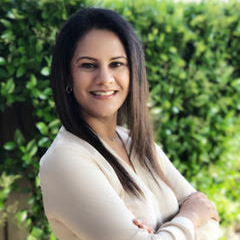 As VP of Product for GoDaddy’s Productivity business, Anjali oversees the team that provides small businesses with products that help them communicate, collaborate and run their businesses. Before joining GoDaddy, Anjali led product teams at PayPal, where she oversaw the global launch of Consumer wallet (web and mobile), increasing active consumers from 100 million to 150 million in the first two years. She also held leadership positions at Financial Engines, Intuit, ATI and General Motors, where she focused on bringing technology solutions and solving for consumers and SMBs worldwide. Anjali studied engineering at the University of Ottawa, Canada. Charlie O’Donnell is the sole partner and founder at Brooklyn Bridge Ventures, which makes seed and pre-seed investments and was the first venture firm located in Brooklyn — where he was born and raised. Brooklyn Bridge invested in the first rounds of Canary, The Wing, Orchard Platform, Tinybop, Hungryroot, Clubhouse, Ringly and goTenna, among others. Working in venture capital since 2001, he apprenticed his way through the asset class with analyst roles on the original Union Square Ventures team as well as at the General Motors pension fund. At First Round Capital, he sourced investments in SinglePlatform (sold to Constant Contact) and GroupMe (sold to Skype). Charlie discovered GroupMe at the TechCrunch hackathon, where the service had been built. He also sourced investments in Backupify (which was an idea he had tweeted to the founder, a friend of his), chloe + isabel and Refinery29. Charlie bikes to work, has done seven triathlons and four marathons, and runs the kayaking program in Brooklyn Bridge Park. The longest he has consecutively been outside of the five boroughs of New York City is three weeks. 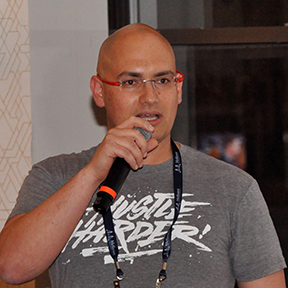 Jon Gottfried is the co-founder of Major League Hacking, the official student hackathon league. 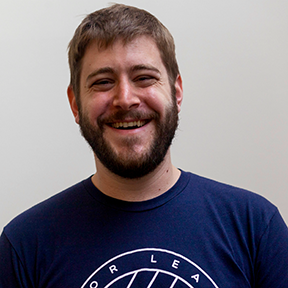 Jon previously co-created the Hacker Union, worked as a Developer Evangelist at Twilio and Echo Nest and served as National Director for StartupBus. Jon loves creating new technology and teaching others to do the same. He was recently named to the Forbes 30 Under 30 Education category for his work with MLH and was a previous winner of the TechCrunch Disrupt hackathon with Thingscription and an honorable mention with Joysticc. Nimi is a principal at BoxGroup, a seed-stage venture fund, where she focuses on investments in fintech, healthcare and marketplaces. BoxGroup’s portfolio includes companies such as Blue Apron, ClassPass, Warby Parker, Flatiron Health and Vine, among many others. She sources and invests in entrepreneurs building disruptive technology companies that aim to create category-defining businesses. 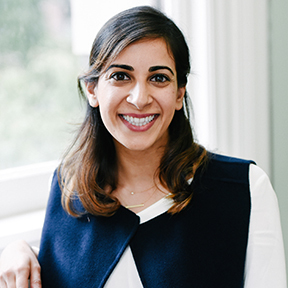 Previously, she worked in investment banking at J.P. Morgan and later as an Associate Product Marketing Manager at Google, focused on growing small business advertisers. She graduated with an Honors BA degree from Harvard, majoring in Economics and Government, and also received an MBA with Distinction from Harvard Business School. In 2017, Nimi was named to the Forbes 30 Under 30 list for Venture Capital. Tom Sella is VP, Product at WeWork, working on the fascinating interaction between people and space. Prior to WeWork, Tom held a position with Samsung following an acquisition of a startup he co-founded, Boxee. In Boxee’s infancy, Tom jumpstarted the Israeli operation and launched the initial Boxee service. He was instrumental in Boxee’s foray into the world of consumer electronics and was behind Boxee Box’s most notable innovations, including the RF remote control and dual-sided QWERTY keyboard design. Tom served in various operations and systems engineering roles with startups. He was also a WordPress advisor and source code contributor and started a multi-user Hebrew blogging platform. Before beginning his professional career, Tom served in the elite IDF intelligence unit, 8200. Tom is grateful to his wife and three kids for supporting his decision to JUDGE YOU on this beautiful day.